Friends Fest will include a variety of Friends-themed attractions spread throughout the Woodlands shopping center. 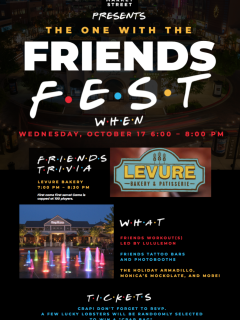 Two of the biggest attractions consist of “Friends Trivia” which will be held at Levure Bakery and a Friends-inspired workout led by Lululemon instructors in their store. 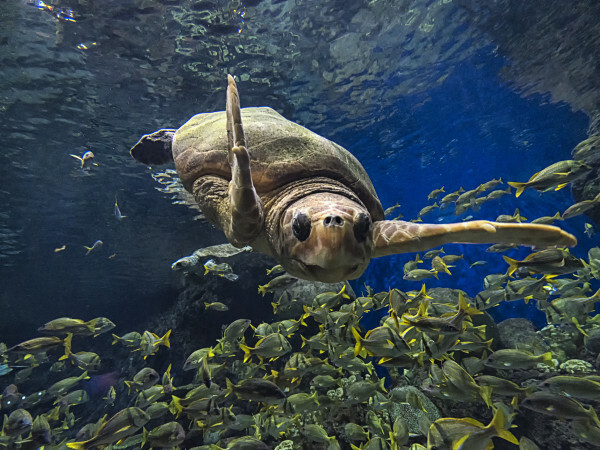 Other attractions include a Friends tattoo bar, Friends photobooths, a wedding-dress try-on station, a chance to try Monica’s “Mockolate” chip cookies, and more.